"Patience" by IKONICK. 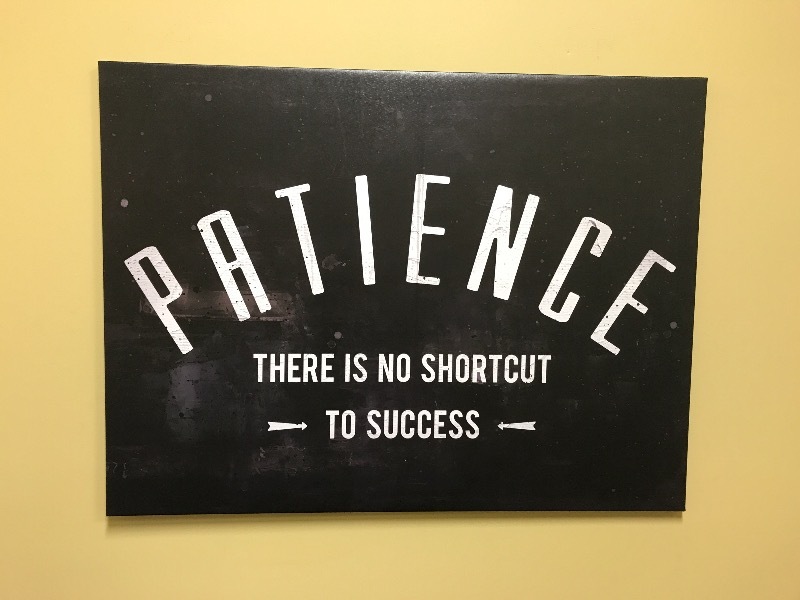 "Patience, there is no shortcut to success". They say patience is a virtue. But so is good art. Complete your vision board with this daily reminder to hustle, grind while modernizing any work/office space. These signs are amazing! Thank you ikonick! We ordered this as a birthday gift and the recipient was SUPER excited and impressed with the quality. It was packaged so well that we didn't even need to wrap it! Highly recommend. Just got this one along with a few others and the packaging was SUPER well done and came in mint condition. Quality is superb! Just purchased this piece for my new apartment. I went with the thicker "Gallery Wrap" and the quality is amazing! This piece looks and is very high end.